A SCOTTISH MP has been trolled after she filmed her hand “shaking with rage” over the Brexit vote delay – inside the Commons chamber. Hannah Bardell, the Nationalist MP for Livingston, West Lothian, posted the video of her trembling hand with one of the famous red lines visible beneath her feet and Theresa May audible in the background. She captioned the video: “This is how angry I am, shaking with rage after an utterly rubbish response from the PM. 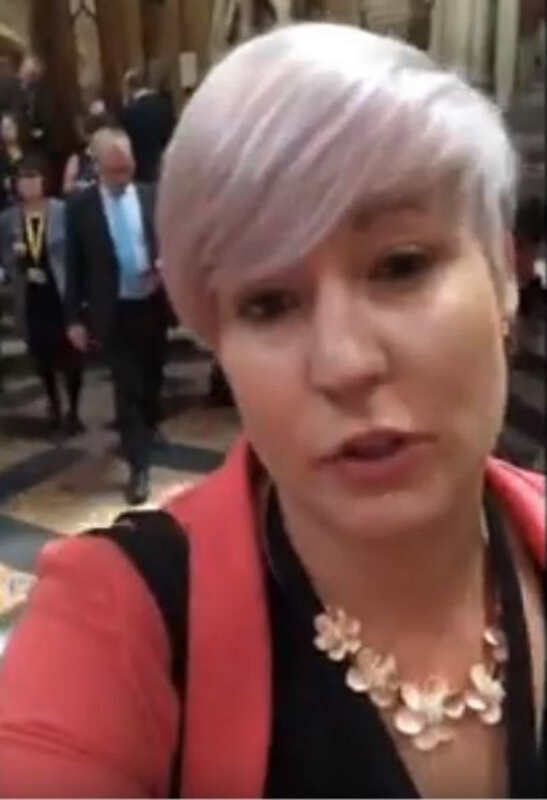 Hannah Bardell was trolled after filming her hand “shaking with rage” over the Brexit vote delay – inside the Commons chamber. But most views took the opportunity to ridicule Bardell, who introduced the Commons to the gaelic for “mess” during her question to the Prime Minister, using the phrase “cluster bourach”. Others wondered how she managed to keep her hand on the mobile so steady. Despite this, she did also have several comments backing her fury and believed it was genuine. Hannah Bardell captioned the video: “This is how angry I am, shaking with rage after an utterly rubbish response from the PM. Bardell has also hit the headlines recently when she decided to do keepy uppies in the House of Commons. How Will the Housing Market Fare in 2019?